A Van Camp's ad from 1947. 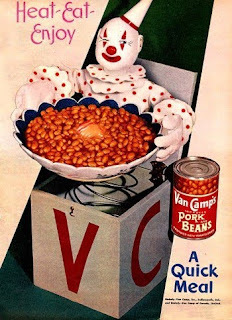 Clowns and pork 'n' beans. A lethal combination. What Color Is Your Couch?